Everyday amazed at what it means to be human. 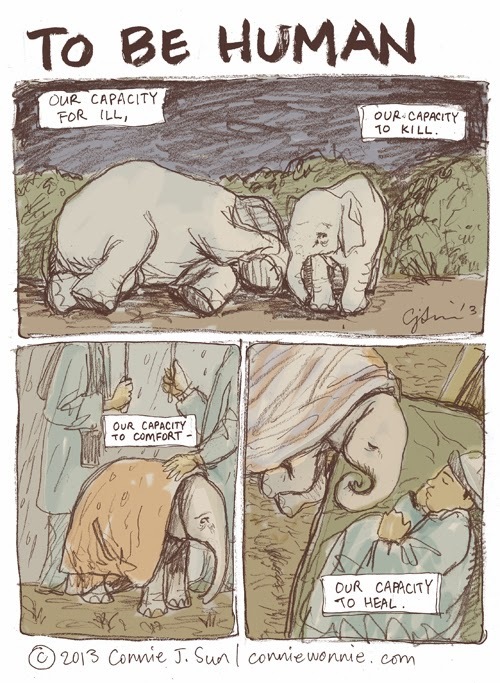 Drawn from photos of orphaned elephants and their caretakers. Have you ever read the book "The elephant whisperer"? I highly recommended it. It's one of the cutest books I read in 2012.